Mat Irvine’s new book will appeal to all model car fans - it’s called simply Scale Car Modelling, and is due for publication on September 26. 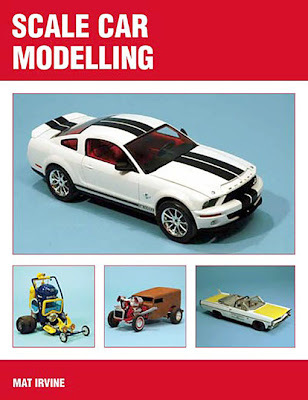 It joins other useful modelling titles by Mat, including Auto Modelling Masterclass and The Car Modeller’s Handbook. A tiny few from Mat's vast scale auto collection. This latest title will be published by The Crowood Press and will feature a huge number of pictures, plus detail-packed text, that combine to fill 160 colour-packed pages. Visitors to Automodellismo will get a preview of the contents, as Mat will have several of the car kits that feature in the book on display - plus, of course, you’ll get a chance to talk to the author. You can pre-order Scale Car Modelling here.